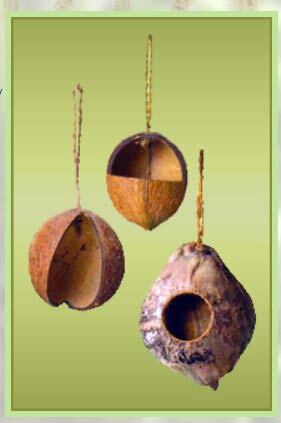 The company is manufacturing, exporting and supplying wide range of premium quality Coconut Shell Bird Feeders. Our Coconut Shell Bird Feeders are extensively used in gardens and sanctuaries to feed birds. We also specialize in delivering custom made Coconut Shell Bird Feeders to our valuable customers.